I’m currently creating a small driftwood base for a TV stand for a customer who originally purchased some of my work back in 1988. 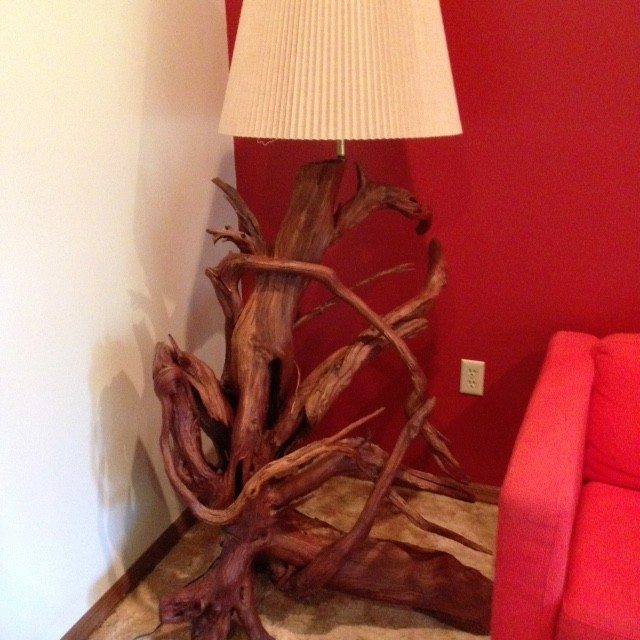 Carolyn had originally seen my driftwood lamps & table when we were doing the Melbourne Mall (Florida) art show. The mall shows were our initial avenue for selling my furniture. Thankfully, those days are long past as spending Thursday-Sunday from 10 until closing in a mall has made me allergic to them to this day. Carolyn took my card & came to see me at my showroom/shop in Orlando, saw some pieces in the raw & was intrigued. I mentioned that they would be finished in time for my next art show (this one outdoors) in her area & suggested that she come look at them at that time. 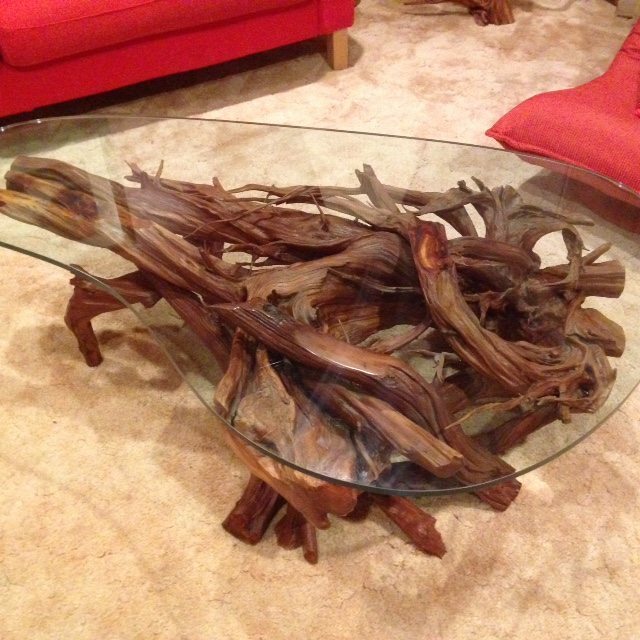 She decided on a kidney glass coffee table & 2 floor lamps all in the lacquer finish. It’s very gratifying to know that almost 30 years later those pieces still look the same and customers such as Carolyn are still displaying them in her home. And within the next couple of weeks a 4th piece will be joining the others. Thanks Carolyn for sharing those with me & I hope you enjoy them for 30 more years. 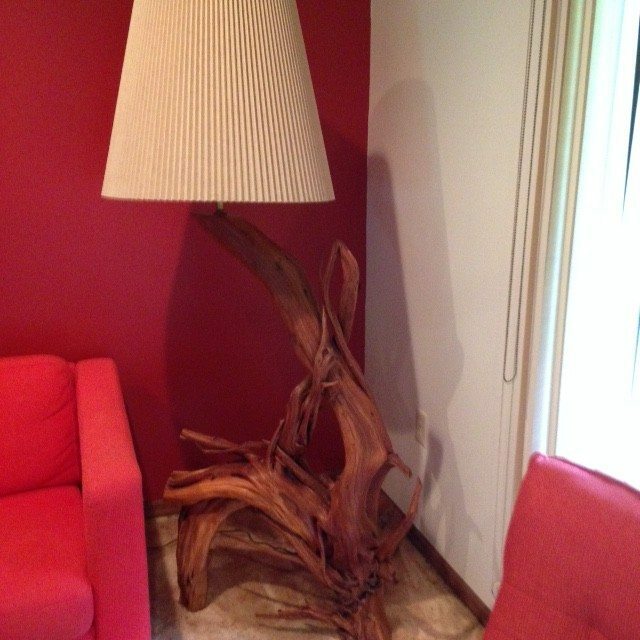 just purchased ours…it look fantastic..we love it..thank you.. Thanks Barb, I hope you enjoy it for many years to come.